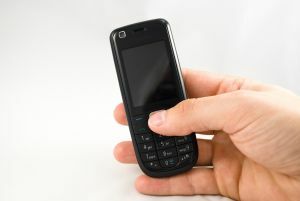 In the state of Massachusetts, drivers are permitted to talk on a cell phone behind the wheel, but banned from text messaging. That makes it really tough for officers to cite drivers, considering it’s virtually impossible to determine if a driver was dialing a number to call or composing a message to send. Either way, drivers shouldn’t be messing with electronic devices while operating a motor vehicle. When you’re behind the wheel, your attention needs to be on the task at hand — driving. April will serve as a wakeup call for drivers, and our Boston car accident attorneys are asking you to join the cause. Officials with the National Safety Council (NSC) have designated the month of April as National Distracted Driving Awareness month. During this time, safe driving advocates are asking drivers to take a look at their driving habits and to make the changes to make them safer — this means put down the phone! Unfortunately, there are thousands killed in distracted driving car accidents each year. In 2010, there were more than 3,330 people killed in these crashes. In addition to that, there were another 420,000 people injured. The saddest part about these accidents, injuries and fatalities is that they are all completely preventable. Put down the phone while you’re in the driver’s seat. If you get a call you need to handle, pull over before doing so or have a passenger handle it. If you call someone who answers and is driving, politely ask that they call you back when they’ve stopped. Talk with your friends and family members are these risks. Get them to cut the distractions, too. If you’re in the vehicle with someone who is using their phone, ask them nicely to stop. It’s for the safety of you and everyone else in the vehicle. Take the pledge to drive cell free. Be a part of the webinar, “What were you thinking? The myth of multitasking,” on April 10th. This is such a serious problem. As a matter of fact, drivers are close to 5 times more likely to crash while using a hand held phone and close to 25 times more likely when text messaging in the driver’s seat. When you send or receive a text, you’re taking your eyes off the road for an average of 4.5 seconds. When you’re going 55 miles per hour — you can travel the length of a football field without ever seeing the road. If you’ve got a young driver in your home, make sure you make them a part of this awareness month. They’re more likely than any other group of drivers to engage in distractions behind the wheel. Talk with them today, spread the word with friends and family members and let’s all work together for safer roadways. Reposted from Boston Car Accident Lawyer blog.